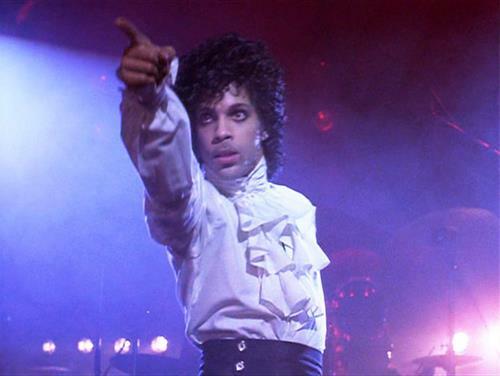 The jaw dropping dance moves, passionate and provocative lyrics and intoxicating magnetism of Prince is what it's all about when Mendocino Film Festival presents Purple Rain, the next film in the Classic Film Series at Coast Cinemas. While some may chuckle at occasional over the top performances there is absolutely no denying Prince's overwhelming power and magnificence. Neither can you deny that this is a truly classic, incredible bad/good film that deserves to be seen on the big screen to appreciate. IMPORTANT: Ticket holders must arrive no later than ten minutes prior to show time to be guaranteed a seat. Anyone arriving less than 15 minutes prior to showtime will not be guaranteed a seat, even if they have purchased a ticket. There are no exchanges or refunds. Thanks to the film sponsors Los Galittos and Golden West Saloon, and to our media sponsor KOZT FM. All proceeds go to the Mendocino Film Festival - May 30th to June 2nd. Ticketsare $10.00 CASH ONLY on sale in advance at Coast Cinema starting Tuesday, April 16th or online at Eventbrite.